Japan and South Korea's Non-Solution for the "Comfort Women"
Many have hailed the recent agreement between South Korea and Japan on the "comfort women" who were forced into militarized sexual slavery during World War II as a "landmark resolution." However, the agreement is neither landmark nor a resolution, as it has failed to involve the survivors or respond appropriately to their demands. Further, it has relocated the human rights struggle of survivors and civil society into the hands of the State. 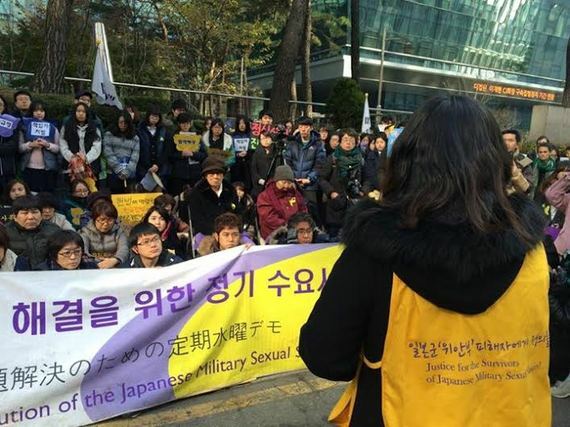 For many critics, including the Korean Council for the Women Drafted for Military Sexual Slavery by Japan, the agreement falls short on several fronts. While it involves a promise of $8.3 million of compensation for survivors, monetary reparations are not the crux of the women's demands. The women have previously turned down other compensation offers that were not made in the spirit of atonement for state wrongdoings. "Do you think we've been struggling like this for such a long time out of greed for that 1 Billion Won?" asks Kim Bokdong, a former "comfort woman" who was forced into sexual slavery at the age of 15. "What we are demanding is legal reparation. It means that Japan must admit that it committed crimes as a criminal state." "The surviving women weren't even at the negotiation table during this process," says Heather Evans, an activist who has worked with the "comfort women" movement for more than a decade. "This 'agreement' is in many ways an institutional cooptation of their struggle for justice." Angela Lytle from the Women's Human Rights Education Institute sees this agreement as an affront not only to the women but also to human rights standards. "UN Secretary General Ban Ki-moon was very quick to speak publicly in praise of this agreement," says Lytle, "despite the fact that it completely undermines the many detailed recommendations from UN Special Rapporteurs, the CEDAW committee, and the Human Rights Council made over more than 20 years of activism on this issue." Lytle also notes how the agreement disregards the basic principles on the right to a remedy and reparation for victims of gross human rights violations. These principles include equal and effective access to justice; adequate, effective and prompt reparation for harm suffered, and access to relevant information concerning violations and reparation. As it stands, the agreement fails to adhere any of these principles in full. In her 1996 report on the "comfort women" issue, UN Special Rapporteur Radhika Coomaraswamy offered several recommendations for the Japanese government, none of which have been adequately responded to within the span of 20 years. 1. Acknowledge the violation of obligations under international law and accept legal responsibility. The farthest Japan has gone on this front has been the most recent apology, offered through a diplomatic representative of Prime Minister Shinzo Abe. An official apology from the Japanese Diet has never been made. Further, the most recent apology attributes blame to "Japanese military authorities" rather than the Japanese government. This paints the "comfort stations" as consequences of individual actions rather than systematic ones. Such evasion of state responsibility echoes back to similar official "apologies" made in 1993 and 1995 that attempted to quell rising international public opposition to Japan's whitewashing of its war crimes. These apologies acknowledged the suffering of women survivors and victims without accepting responsibility in a substantive way. 2. Provide financial compensation. Monetary reparations would come very late, as only 46 of the estimated 200,000 comfort women are still living and able to benefit from them. 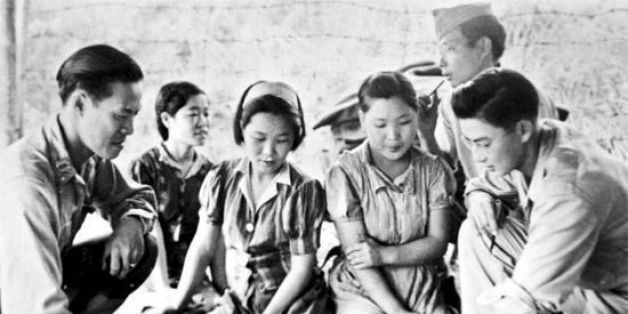 Further, the agreement offers no compensation to any women of non-South Korean nationalities who served in comfort stations in Japanese colonies across Asia. This suggests a lack of genuine interest in reconciling the "comfort women" issue. 3. Fully disclose documents and materials with regard to "comfort stations." The current agreement does not require Japan to do this. Full disclosure would be helpful, particularly as Japan's leaders have continuously questioned the veracity of the "comfort women's" testimonies, and most of the Japanese public is still unclear on the history. 4. Amend educational curricula to reflect historical realities. The Japanese government has never agreed to amend educational textbooks that as of now intentionally fail to mention the military's wartime atrocities, nor has the government demonstrated that it has any intentions of changing this policy. 5. Identify and punish the perpetrators involved in the recruitment and institutionalization of "comfort stations." To date, no one in Japan has been tried or held accountable for the militarized sexual enslavement of the "comfort women." In 2000, the NGO-led Women's International War Crimes Tribunal on Japan's Military Sexual Slavery held in Tokyo found that the crimes committed against the "comfort women" were "one of the greatest unacknowledged and unremedied injustices of the Second World War." The judgment went on to say: "There are no museums, no graves for the unknown 'comfort women,' no education of future generations, and there have been no judgment days." Unfortunately, not much has changed since 2000. If anything, the agreement backtracks by supporting the Japanese government's demand for the removal of the "comfort women's" Peace Monument outside of the Japanese embassy in Seoul. 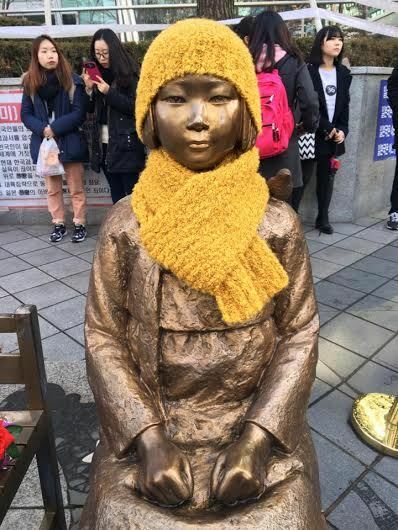 For years the Japanese government has been trying to get the statue of the young Korean girl removed and to block the construction of other monuments in Korea and abroad. 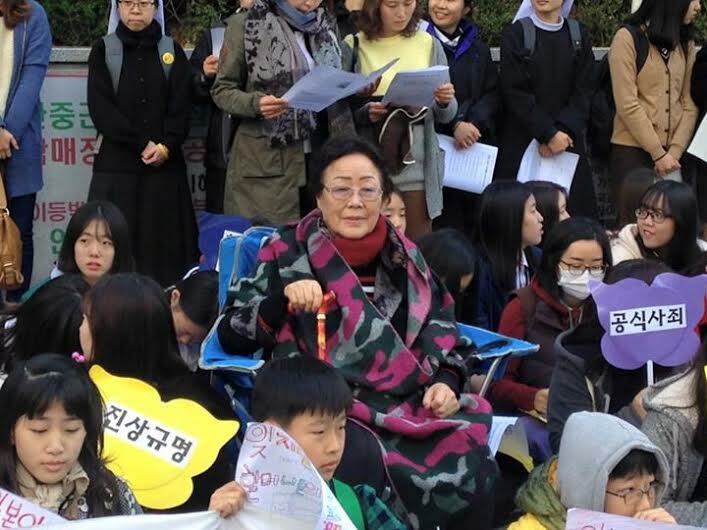 "I don't understand why they keep demanding removal of the Peace Monument," says former "comfort woman" Kim Bokdong. "We installed it in our own land. The Peace Monument is for our next generations to learn that we had such painful history in the past so that it would never recur." "The removal of the statue is completely inappropriate," shares Lytle. "The Korean government has no right to make promises to seek removal of a memorial erected in public space, which is tantamount to re-invisibilizing the history." This continued insistence on restricting efforts to memorialize what occurred in the past goes directly against one of the "comfort women's" chief demands: understanding history to prevent militarized sexual violence against women. Instead, the Japanese government appears to be more interested in erasing history than acknowledging it. According to Lytle, the Japanese government has repeatedly ignored recommendations made by various human rights bodies, including the CEDAW Committee, which reiterated its call for reparations the last time the Japanese government appeared before it in 2009. Japan has even sought to influence human rights bodies to leave references to the "comfort women" out of their recommendations. "If the Japanese government wants to take greater leadership at the UN and internationally," Lytle says, "facing this issue squarely and settling it will be a clear signal to other nations that they are willing to take leadership in the area of human rights and that all States must seek to rectify past and current human rights violations in order to move forward." Backed by the United States government, the agreement appears to fall in line with US interests by solidifying the relationship between two important allies in the region as a counter to the influence of China and the threat of North Korea. The US has also been pressuring Japan to amend Article 9 of its constitution, a legacy of the war, which prevents Japan from having a military or taking part in military operations, to considerable controversy. US Congressman Mike Honda (D-CA), who backed House Resolution 121 in favor of a comprehensive resolution to the "comfort women" issue, expressed his disappointment with the current agreement. "Only by educating our future generations, can we commit to upholding the human rights of all, and ensuring the wrongs of history will never repeat," Honda said. 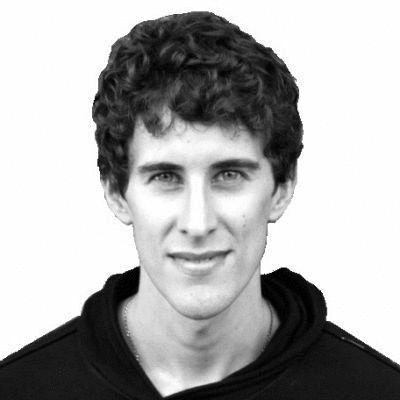 "I urge Prime Minister Abe and the Government of Japan to fully commit to this education--and ensure this atrocity never happens, ever again." UN Secretary General Ban Ki-moon's praise for the agreement is difficult to understand, given that it actually threatens the surviving "comfort women" and their movement. Instead of joy, what Ban Ki Moon, a South Korean, should feel is shame. The women have been silenced by their own government and Japan for far too long. The last thing they need is the UN to sanction that very silence, in direct contradiction to the findings of the UN human rights system. The agreement also requires the South Korean government to abstain from future criticism of Japan on this issue at the UN or other international bodies. Activists are concerned that this may open the door to the South Korean government suppressing their efforts to speak on the issue moving forward. "Instead of celebrating this agreement, transnational solidarity for the 'comfort women' and organizations rejecting this agreement has to increase," says Lytle. "We can't let the governments get away with this kind of negotiation, particularly when it ignores the women and flouts human rights standards." "Completely ignoring civil society and shutting down spaces for dissent isn't a solution at all," adds Evans. "It's a step toward repeating the past."